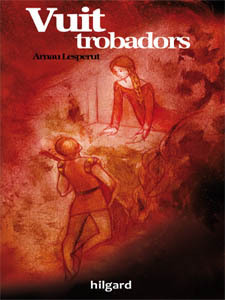 Hilgard Language School and Hilgard Editions, Hilgard Escola d'Idiomes i Hilgard Edicions, Hilgard Escuela de Idiomas y Hilgard Ediciones. This is a delightful adaptation for young readers of the classical fable of Ramon Llull. In an attempt to mimic Man’s progress and choose a king in an election, Renard the Fox does everything possible to get the lion crowned, believing that he is the best candidate. But when the lion does not choose him to be an advisor, he hatches a plot to dethrone him and proclaim the elephant as king of the beasts. This book is recommended for both secondary school students and adults. Through a comedy full of adventures, it gives you a tour through the worst crimes of political corruption. The book is beautifully illustrated at the beginning of each chapter with Hatice Aksüt's drawings. It has a reading guide to help you discuss legal and democratic issues in class that appear in the story. Click on the image to download two chapters of the book in PDF format. A horror book with historical characters set in twelfth century Provence. 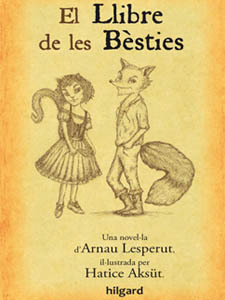 It narrates the journey of some poets to the island where the dukes of Aquitaine spend the summer. They go there to participate in a poetry contest that the dukes have organized. One of these troubadours, Bernat de Ventadorn, goes to regain the love he had had in his youth with the duke's daughter, Eleanor of Aquitaine. He wonders if she has forgotten him after all these years. What nobody knows is what the island has in store for them and that their days there will become a struggle for survival. Eight troubadours is a literary novel of mounting tension with increasingly intense scenes. The allure of its main characters contrasts with the evil in the castle. It will lead them through a maze that goes beyond the phantasmagoric dimension. It is recommended for those who love the stories of Poe and Lovecraft, as well as fans of Agatha Christie. A fantasy novel set around the history of European art and thought from the sixteenth to the late nineteenth century. It features the voyages of a Basque giant in search of the meaning of life. He is disappointed with society, first because he fears being different and then complains that he doesn't even exist. When he meets his aunt, Baba Iaga, Aitor realizes that he actually lives in an imaginary world and that he will have to choose between the comforts of a familiar life or fulfill what he believes is his duty. Accompanied by a sheep that talks, he will meet characters such as Lazarillo de Tormes, Don Quixote, Sancho Panza, Flordeneu and Wilfred the Hairy. The novel addresses the meaning of novels and the approach to God and destiny. It questions the role of heroes and predictable plots with a protagonist who acts and yet doubts everything. It is, therefore, a deeply spiritual book recommended for those who love fantasy novels with the literary intentionality of Michael Ende or Ursula K. Le Guin.